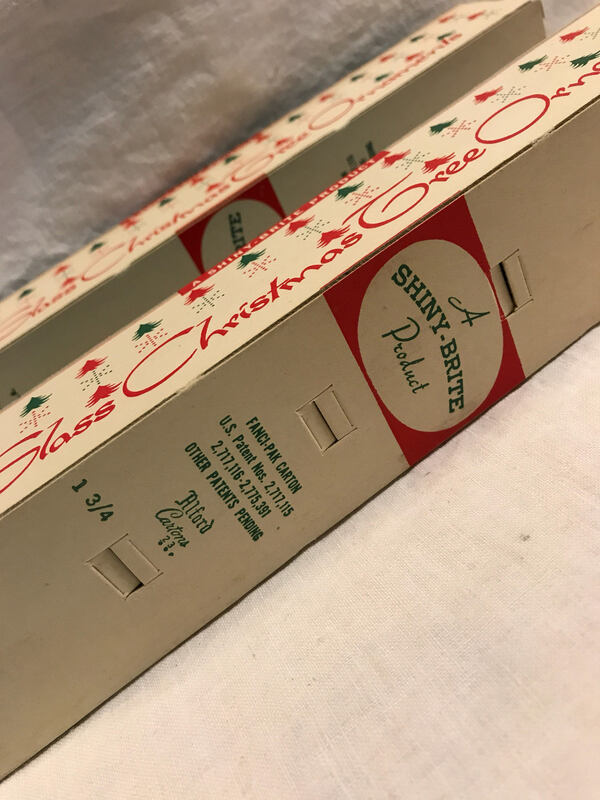 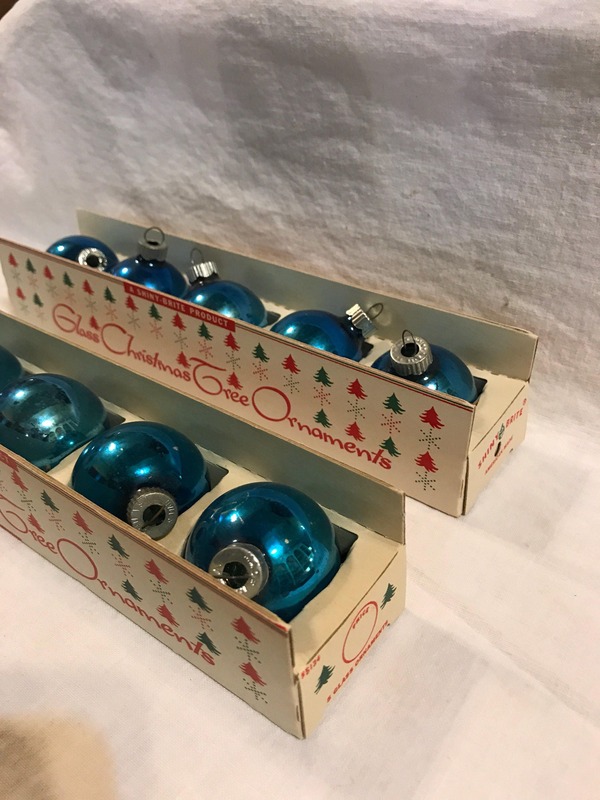 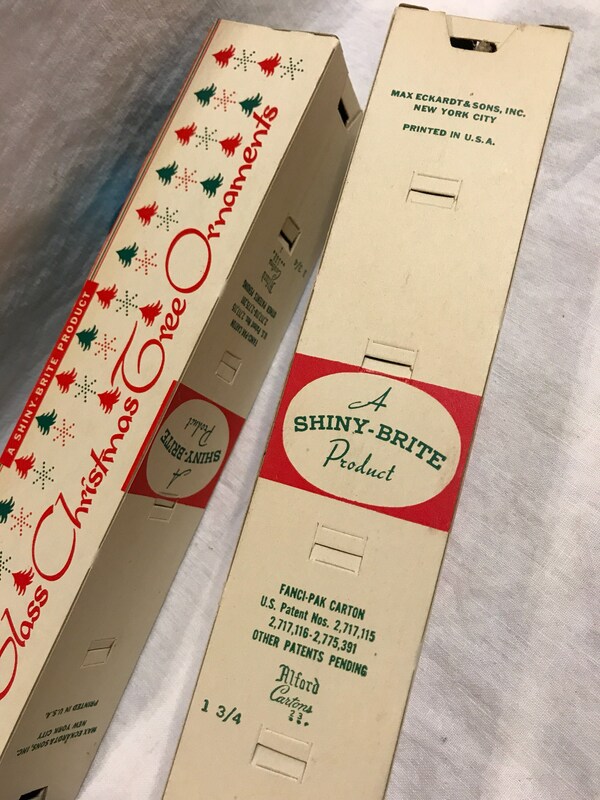 5 Blue Ornaments in each box, these Shiny Brite Ornaments are all original in the original box and box and ornaments are in great condition, with some normal wear overall, slight get fading or discoloration, one has crackle in the blue color, nothing major, just not perfect. 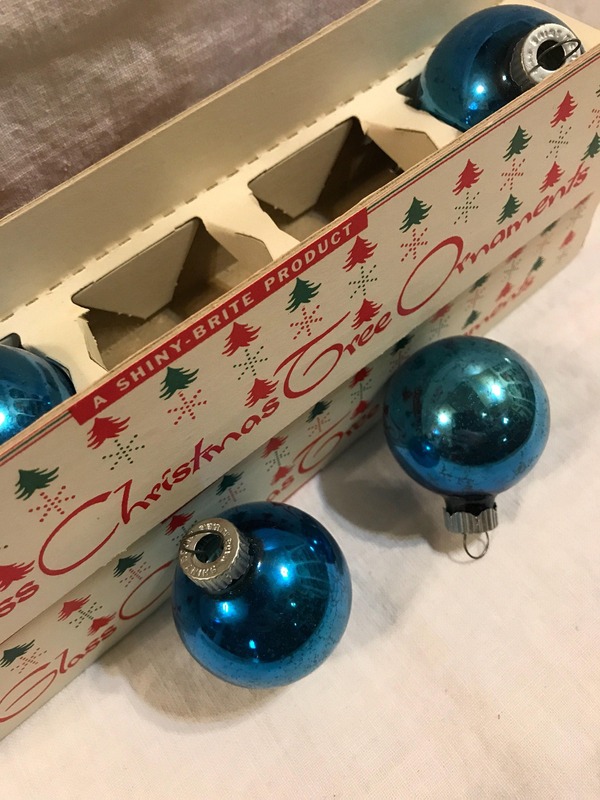 You are buying 2 boxes x 5 ornaments in each box, as shown here. 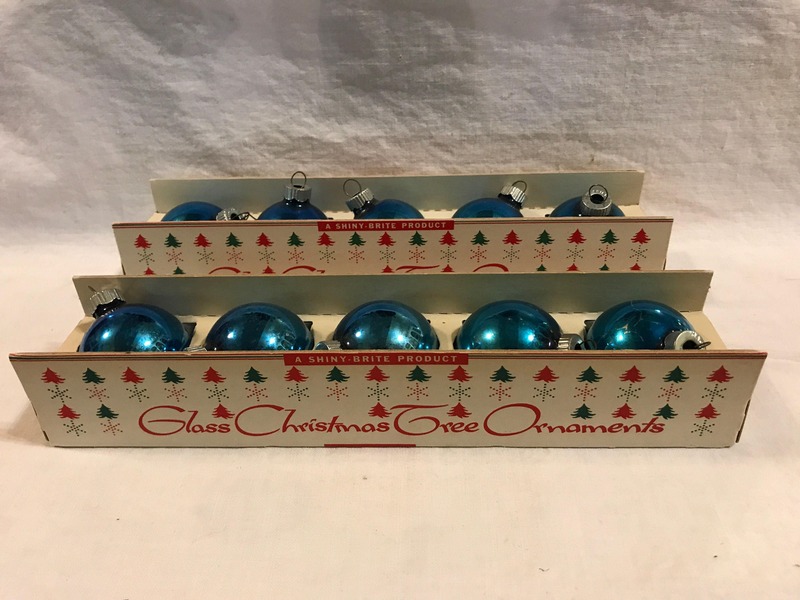 Total of 10 ornaments. 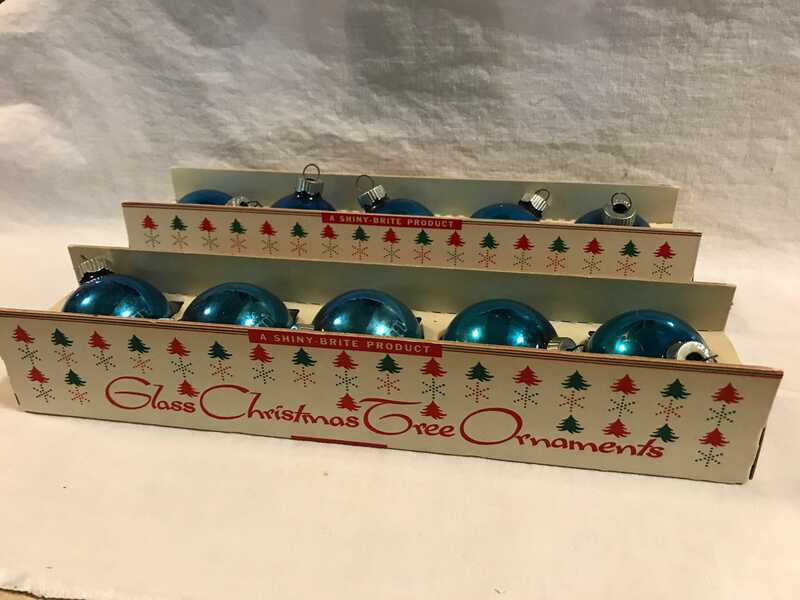 I also include vintage hooks. 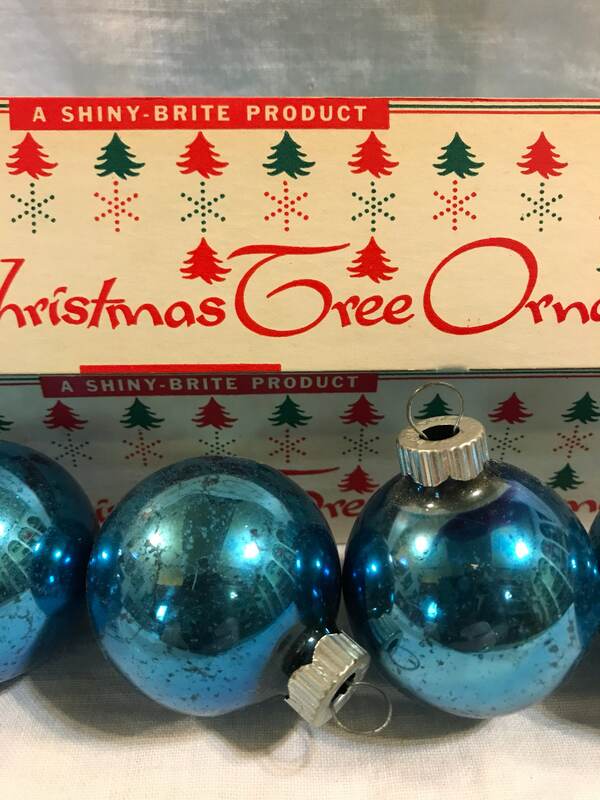 Please note, each box of 5 ornaments is sold separately, choose how many boxes you want. 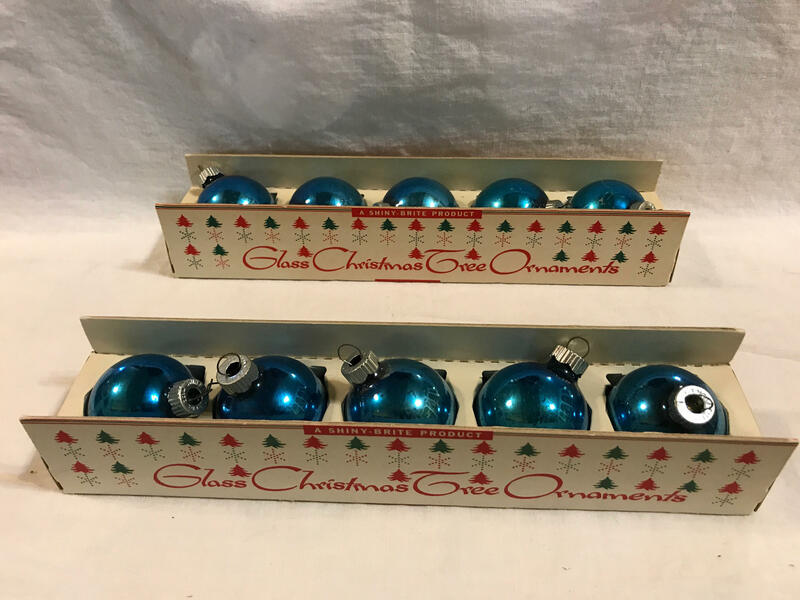 These are small size ornaments measuring 2 inches each, each box measures 10.5 x 2 inches approximately. 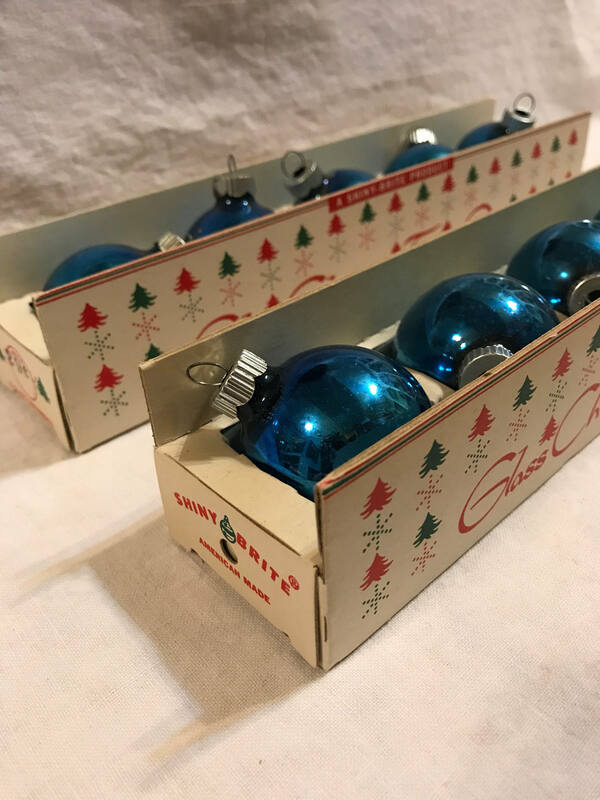 Vintage, 1960s with some wear to the blue color from age and use over the years. 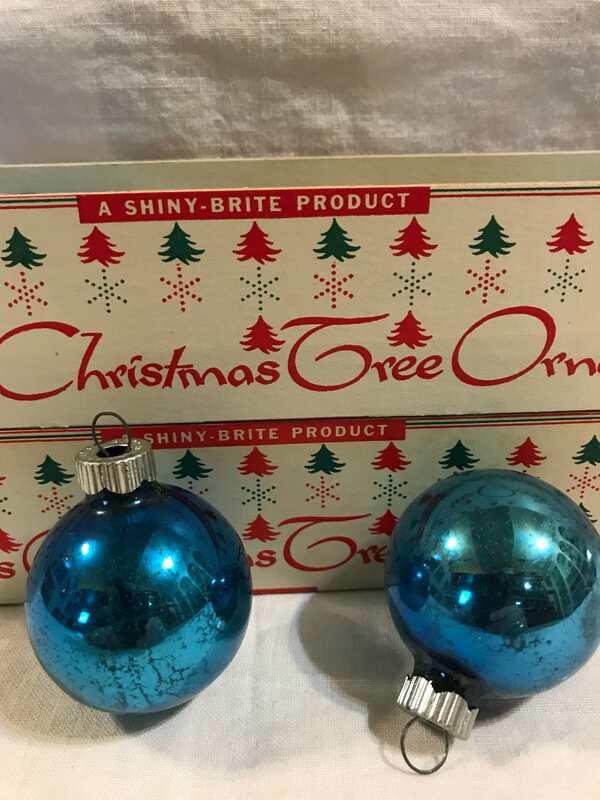 Great look for your vintage tree.